The term 'U-turn' has negative connotations in politics. It signifies a complete change in direction, an abrogation of policy so pronounced that Margaret Thatcher famously made capital out of its opposite. "The lady's not for turning," said Lady Thatcher, and ever since politicians from a variety of parties have seen this statement not as indicative of blind stubbornness but as a sign of strength. But the received wisdom isn't always right. A U-turn can be a good turn. It can indicate due regard for the implications of policy and the acknowledgement that it hasn't been properly thought through. Which - thankfully - is exactly what's happened this week, with the government executing a U-turn when it comes to mesothelioma claims. To recap, mesothelioma is a disease caused by exposure to asbestos, with a long delay between exposure and developing the disease (often 40 to 50 years). It is nearly always fatal, and some 2,200 people die of it each year in England and Wales. Over the years sufferers have faced a massive battle to obtain compensation, owing either to the difficulty of tracing employers or, indeed, insurers. Another statistic puts this is perspective: 50% of claims for compensation for mesothelioma take over 12 months to settle, which means that sufferers may die before their claims are paid out. For many years campaigners, notably the Association of Personal Injury Lawyers (APIL), have called for the government to establish a fund to make sure those left unable to claim can do so. The idea was that contributions from insurers would initiate and sustain the fund which would pay out in circumstances where the employer's insurer could not be traced. In parallel insurers came up with the Mesothelioma Pre Action Protocol (MPAP) to replace the existing pre-action protocol for disease and illness (DPAP), which they sought to link with the introduction of the untraced insurers fund. The protocol seemed to the government like a good idea at first blush, a way of dedicating resources to mesothelioma sufferers. The government initially gave its endorsement. But the devil was in the detail. And the more people looked at the detail, the more it seemed that sufferers would receive less money - and have to wait longer for it. The insurers sought to stick to a position which linked the introduction of the fund with the introduction of the protocol. APIL played a large role in harnessing industry response to the proposed MPAP. It became abundantly clear that mesothelioma sufferers, far from being helped by the MPAP, would be hindered by it. 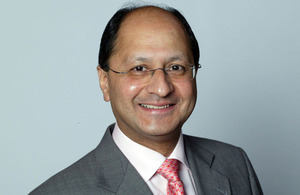 And this week, Courts Minister Shailesh Vara showed that the government is capable of listening, announcing that the government would reject the insurers' proposals. Moreover, in news made all the more welcome given that we are two weeks from Christmas, the government has declared its intention to work with victims' groups, insurers representing employers and others to explore new ways to improve the legal process for handling claims from victims of mesothelioma. In addition, proposals to set standardised payments for lawyers making claims will not, for now, be taken forward. The £350m fund to compensate those unable trace the liable employer is being put in place by insurers and the Department for Work and Pensions through the Mesothelioma Bill, but the bottom line remains this: speed is of the essence. Sadly, claimants often have a limited life expectancy. Their claims need to be settled as quickly as possible, for their sake and that of their families. And so, as much as we should welcome this particular U-turn, let's hope it doesn't lead to a cul-de-sac, and that the best possible means of giving redress to mesothelioma claimants is put in place as soon as possible.